Get Up, Stand Up... Man Up. 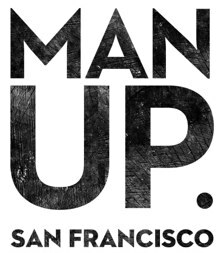 This weekend, experience Man Up, a 3-day popup market featuring a collection of menswear shops and a little bit more. These pioneering labels aren’t simply stylish products. They each have made a commitment to design integrity and uncompromising craftsmanship. Revitalize your wardrobe and sample a variety of goods including quality denim, custom tailored dress shirts, vintage hats, preppy belts and ties, classy watches, canvas bags, and a few other more exotic items. Feel the texture of the products and, then, find the right fit. But instead of working with a department store clerk, you will have the opportunity to meet the founders and discover the essence behind each product. Learn the subtleties of form and fashion at the “educational sessions” where venerated virtuosos, like Sam Malouf, share secrets on how to become a more distinguished gentleman. Accomplished artists will also be creating real-time masterpieces along with a couple talented DJs filling out the sensory experience. The hosts for this event are the Durable Goods Concern who decided to charge the exorbitant rate of… nothing—admission is free. Starting to work up an appetite? A few of the “Gourmet on the Go” food carts will be hovering nearby. Award-winning local wineries, whiskey distilleries and coffee boutiques will be pouring their nectars in exchange for a small donation. On Saturday night, there will be a VIP party for those in the know. First five members to email Mister Archer will get two tickets to the late night festivities. And for those who really enjoy free, sign up for their contest to win a pair of Dope & Drakkar x AB Fits 1198 raw red selvage jeans. Good luck! Friday, 3–9 p.m.; Saturday 11a.m. – 7 p.m.; Sunday 11a.m. – 6 p.m.